After the controversial Facebook’s IPO just a week ago and having purchased of the Instagram app worth 1 billion dollars just only last month. Now the social networking giant is getting ready for another major procurement. 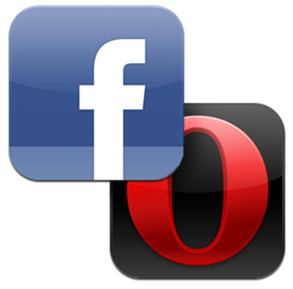 The company is now in talk to buy out the Opera browser for its own, according to pocket-lint.com. Pocket-lint posted that "the company could be about to expand into the browser space to take on the likes of Google, Apple, Microsoft, Mozilla and now even Yahoo, who has recently launched its own browser." It's also said, "Opera already has a very good mobile browser, which has seen strong growth in the two years it has been available. And Facebook's buying the company would save it having to build a browser from scratch." This could be another great deal for the 900 million Facebook users which allow them to keep up to date with their social life from built-in plug-ins and added features on the menu bar and many more. Meanwhile, Opera is claiming to have around 200 million users across the globe in all of its platforms. Comments or suggestions about "Facebook to buy Opera Browser" is important to us, you may share it by using the comment box below.